Help keep business running smoothly with the sturdy, budget-friendly and reliable 15.6" Vostro™ 1540 laptop. 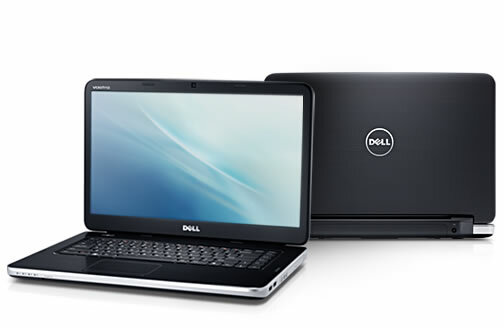 It offers essential mobility, brisk processing power and vital security and IT support options. Expect quality design: This sturdy laptop is ready to work with an antismudge cover and roomy chicklet keyboard for comfortable typing. Simplify with workplace essentials: Count on reliable, responsive performance for everyday office needs with 2010 Intel® Core™ processors and Genuine Windows® 7 Professional. Rest easy: Helps keep your business safe and secure with a variety of world-class security and IT support options. Whether it’s brisk processing power, vivid graphics, mobility or connectivity you demand, the Vostro 1540 has the features you need to keep business on the winning path. Connections matter — Use the 1.3MP Web cam and built-in microphone to videoconference with clients through the Internet. Enjoy wireless connectivity virtually anywhere with built-in WiFi + optional Bluetooth® 3.0. The power you need — Quickly complete daily tasks, manage email and create spreadsheets in a flash with 2010 Intel® Core™ processors and Windows® 7 Professional. Vivid clarity — Create dynamic presentations — even watch videos and movies in high definition with Intel® built-in HD graphics. Experience stereophonic audio with two built-in speakers. Protection is vital. Now it’s yours. Enjoy world-class security and IT support options that provide critical assets protection and assistance — all with the Vostro 1540 . And get time to focus on business.